I just let myself be lured into buying a Netbook for my daughter. It was a good deal actually and I love the machine. The only problem is that it came with no OS and no optical disc drive (it has two USB ports, though). 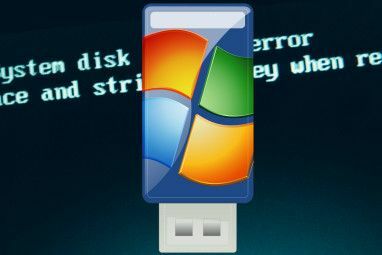 The only option to get it up and running – without the need to buy (or borrow) an external optical drive – is to install the OS via a USB thumb drive. Armed with my faithful MacBook, an internet connection, and a 2GB USB flash disk; I set out on an adventure to bring my daughter’s future netbook alive. It didn’t take long for me to decide to install Ubuntu on the netbook. Free would be the first reason and familiarity is the second. I’ve tried Ubuntu before and I have the installation CD with me. As naive as it sounds, some people still think that you can just copy and paste the content of the CD to the USB drive and boot the machine with it. That’s why my first quest is to find out how to transfer the installation ability of the CD to USB as a portable Ubuntu installer – the Mac way of course. The search ended up with an unexpectedly different result. I found something more interesting: there is a netbook version of Ubuntu called Ubuntu Netbook Remix (UNR for short) which is designed for the small screen and Intel Atom processor (as most netbooks are). The minimum requirement is 384MB of RAM. So I choose the nearest download location for me and hit the "Begin Download" button. Note: If you are wondering whether your netbook is compatible, you can check their list of tested and compatible models, but in general, it should work with most netbook models. Mine is not listed but I’ve discovered no problem so far. The Ubuntu site has a page describing how to create the USB installer. Basically, you have to get an .IMG version of the Ubuntu installer (UNR is already in IMG format), and then convert it to the USB drive. Windows users have the luxury of an easy GUI way of converting the IMG with the help of Disk Imager . Ubuntu users has their own Ubuntu ImageWriter. But Mac users and other Linux users have to bear with the geeky command lines method. The first thing to do to create the portable Ubuntu USB installer using Mac’s Terminal command line is to make the process easier by moving the UNR installer file to the highest position of the folder structure and then changing the name to something shorter like "unr.img" (sans quote). Don’t forget to make sure that there’s no USB drive plugged. Write your password, hit enter, and wait until the process is finished. Please be warned that all the data in the USB drive will be lost. Type : diskutil eject /dev/diskN in the Terminal and hit Enter. We now come to the climax of the story. I plug the USB drive into the Netbook’s USB port and start the machine. During the booting process, I press the F10 button to go into the booting option, choose to boot from the USB drive, and….the prince and princess live happily ever after. Every manufacturer might have different settings for this booting menu, so please refer to your machine’s documentation. Another option is to look carefully at the bottom left part of the screen during the beginning of the booting process because usually the booting instructions are written there. Now the netbook is alive and well, running UNR while my daughter has to continuously ‘compete’ with his father – yours truly – to use the tiny machine. :) As for me, I am now addicted to the concept of a USB Drive as the OS installation method and will surely try to find out more about it. Have you tried UNR? Do you know any other method to create an installation USB drive for other OS’s? Share using the comments below. Explore more about: Netbook, Portable App, Ubuntu, USB, USB Drive. Just a very short comment, cause everything else was well written and I do prefer using the command line instead of the Disk Utility GUI. You don't need the trouble of moving the IMG file to a higher hierarchy level just to save you from typing long paths. Instead, just leave the file wherever you want and use the autocomplete with the TAB key, it really easy, just type the first letters, hit TAB and it will complete the whole path (or hit it twice for possibilities). You created an ubuntu for your eee on your mac? So how to create a live ubuntu with your mac for your mac. And NO rEFIt nor Bootcamp on your mac 'cause I want my stick to be bootable on every intel mac. 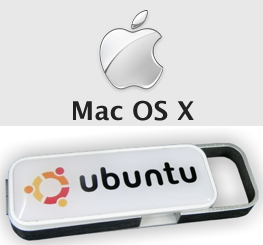 has anyone managed to boot a macbookpro into UNR, Ubuntu Netbook Remix, via a usb-thumbdrive? am trying to do this, but haven't succedded yet. any directions will be welcome. i do have rEFIt installed on my macbookpro 5,1 and i have ubuntu 9.04. How long do you have to wait for the file to load onto the USB? I entered the password when asked, but no characters went onto the sreen. When I pressed "enter" the cursor went to the LHS on the next line and stayed there. - first the /path/to/downloaded.img is the location of the downloaded UNR installer file." Could someone please describe the correct path? I.e. what am I supposed to put instead of "path/to"? 1. Maybe you could use this article as a reference. 2. If you've followed the suggestion to move the img file to the highest position of the folder structure and change the name to something shorter like "unr.img" (sans quote), then you can replace the "/path/to/downloaded.img" into "/unr.img"
There's also a neat way to get the full path and filename into the command window, and get it right every time - type the first part of the command up to the 'if=' and then drag and drop the image file from a finder window into the command window, and magically the file's entire path and filename are typed for you. If you still need any plugins, check these sites: http://filesmixx.com (rapidshare search) and http://filesburner.com (using a torrent). Hope youâ€™ll find necessary soft there! "...my daughter has to continuously â€˜competeâ€™ with his father..."
I think you meant that she has to compete with "her" father. there is a utility called Unetbootin that can be used to download several flavours of linux and automatically create a usb bootable disk for you even if the image is *.iso. dont know if it has a mac version though. I wish we had more netbooks with no OS or linux OS. Here in the US of A, system builders are peddling (or in some cases coerced to peddle) Microsoft's crappy OSs. Very few options here. Sigh! two weeks ago, i tried booting my apple macbookpro 5,1 with UNR, running off a usb-stick. i've already got ubuntu 9.04 installed on the macbookpro. followed all the steps to download, and using imagewriter, create the bootable UNR on the stick. Using rEFIT even managed to get the machine to sense it and to boot off it. however, rEFIT reports an error of not finding any bootable OS on it. what gives? has anyone got UNR to successfully boot on a macbookpro using usb? UNR is 32-bit i think, MacBooks are 64-bit... but sometimes the 32-bit stuff works on them. Download the full Ubuntu 64-bit and try that, i find it more probable to work. why didnt you just boot the livedisk on the macbook and then use that to create a USB install disk?? use the search function on your browser, it might help you determine if this question has been asked... he didn't know how to get a Mac to boot from CD. While I've heard of the Ubuntu Netbook Remix referred to as UNR before, most people I know who use it (at least with the Asus EEE PC) prefer to call it Eeebuntu. Two different things, i'm pretty sure. 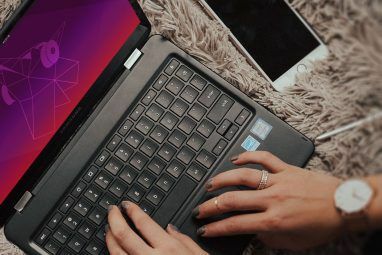 Why didn't you just buy a netbook with Ubuntu pre-installed? You referred to your daughter with a masculine pronoun, ROFL. lol, i did notice something was off when i read this article... now i know, even if i didn't catch it. why didnt you just boot the livedisk on the macbook and then use that to create a USB install disk? That doesn't work the way you'd expect unless you trick the EFI into recognizning the disc as bootable. One way to do that is to use the Bootcamp Assistant and then, as your Mac restarts, swap your Windows install CD for the Linux live CD. Another is to use rEFIt (refit.sourceforge.net/) but I've had no success with that on Leopard. Umm... yeah. I have a Macbook, and rEFIt is running fine. Plus, try holding down the 'option' key before the 'bong' sound is made when you turn on your Macbook and hold it for a second or two after. Now you have a boot menu (without rEFIt). May I ask why you didn't just use Disk Utility? You essentially did everything using the Command line that Disk Utility does in a GUI. You can see partitions and image to the disk using disk utility. Yep. Disk Utility is the business on OS X. It did away with all this crazy command line stuff years ago. I've used it to install Ubuntu Netbook Remix and Moblin onto USB sticks.